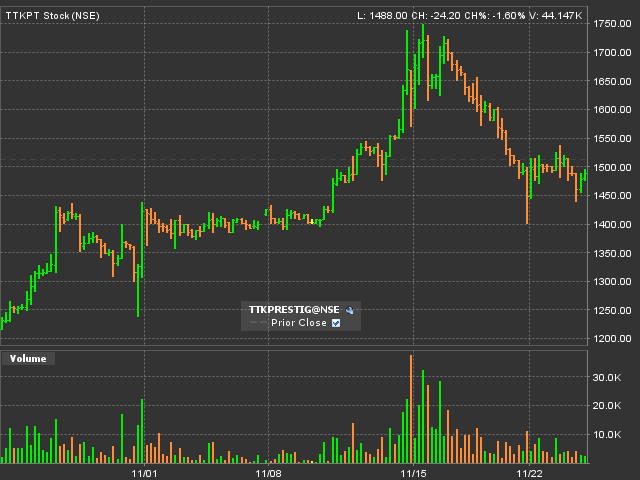 Technical Analysis suggests that TTK Prestige is a Good Investment above 1400. So let us see how. 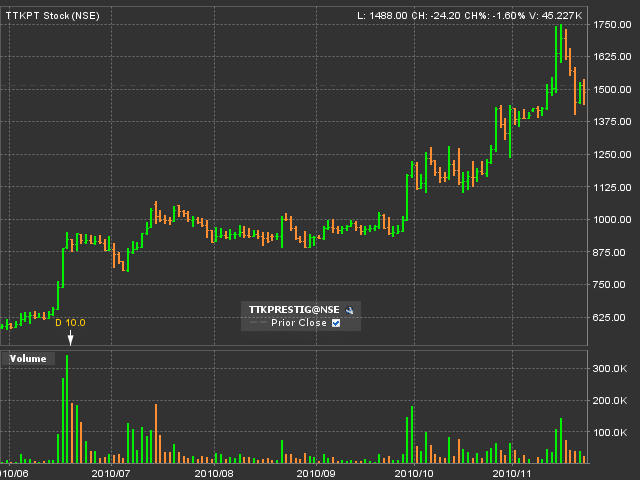 First let us see hourly chart (Each candlestick represents an hour) of TTK Prestige for 1 month. We see that there is lot of consolidation and sideways movement between 1st November and 10th November between the price range of 1375 and 1425. When market corrected as expected this stock also corrected and on 19th November we see a strong bounce after touching low of 1400. Support held. Today (23rd November) also we see a very strong bounce from low of 1438.20. Once again support held. Now let us look at somewhat longer term view for this stock. Let us see the daily chart (Each candlestick represents a day) of TTK Prestige for 6 months. We clearly see the step chart pattern where stock consolidates for few months and then moves higher. In the month of September I made a solid 20% in this stock (See the details here). 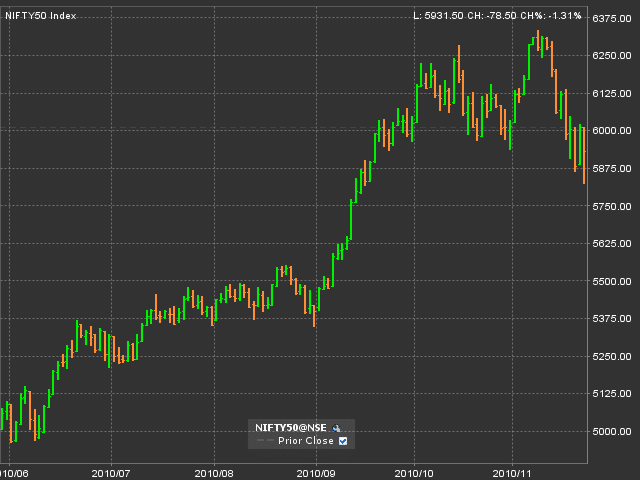 Remember there was no correction in the markets for last 6 months and so stock also showed no correction. When the market corrected stock also did correct and held its first support and so I think this should be a very good long term buy. Fundamentally I am sure many will agree that this stock is over priced. As per Moneycontrol.com TTK prestige EPS is 58.25 & Book Value of 107.77 and so PE of more than 25 but then if you compare it with other good rural demand stocks like Titan or Asian Paints, TTK prestige is trading at only 25 P/E. I have scheduled this post to go live after trading hours so that you don’t buy this stock in a hurry but do your homework because remember I only share my personal views for education purpose only. I will still suggest don’t go with my recommendations but find such multibagger stocks for yourself.